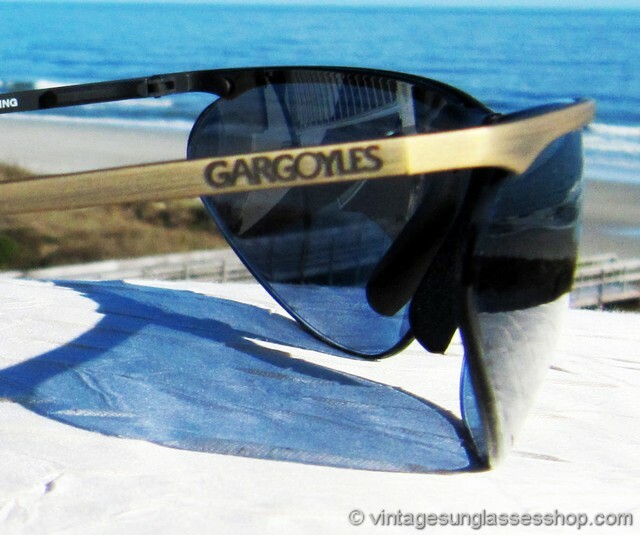 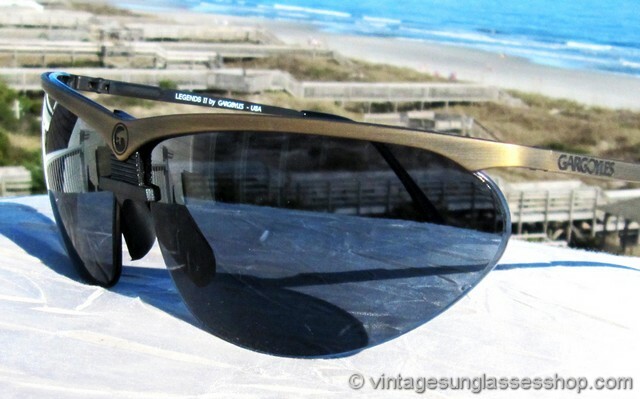 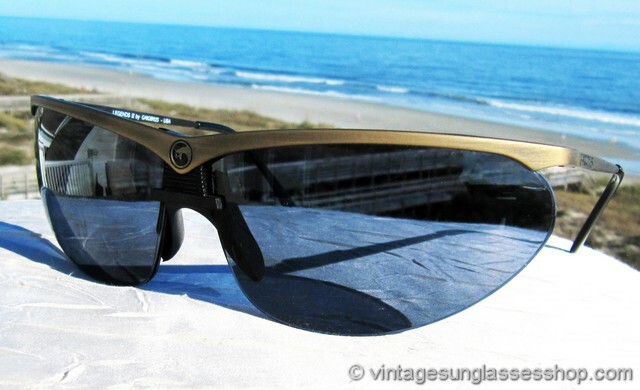 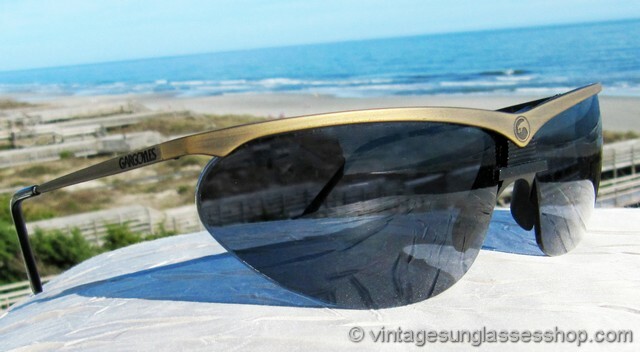 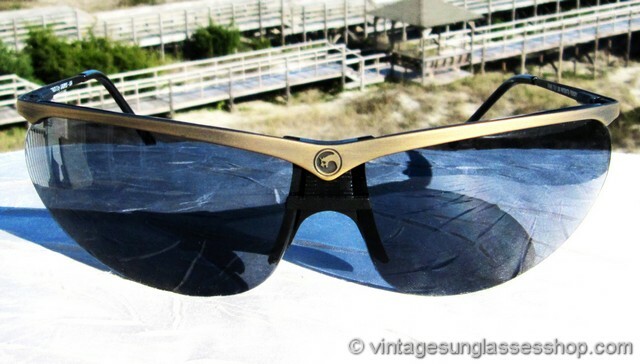 1 Vintage Gargoyles Legends II sunglasses are part of the original collection of Gargoyles imported from Italy into the US in the 1990s, and we think you'll agree that it's one of the most striking designs of any brand of sunglasses. 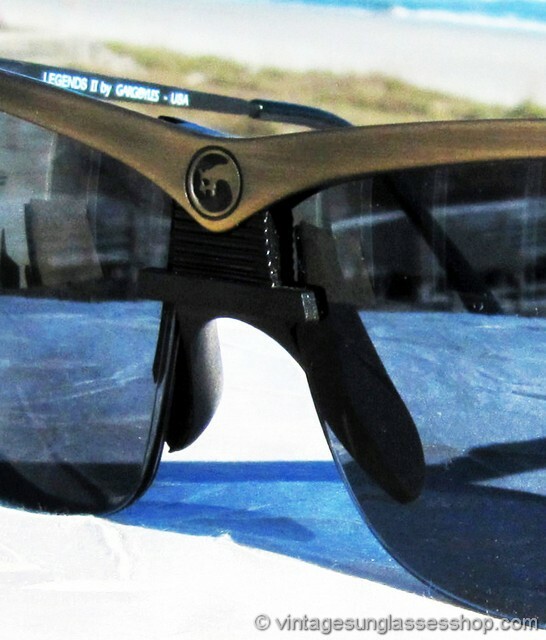 The finely crafted matte gold frame has a subtle wrap design to add eye protection from the sides, and the uniquely shaped lenses curve with the frame to provide unparalleled eye protection from the sides not to mention a perfect color complement to the frame. 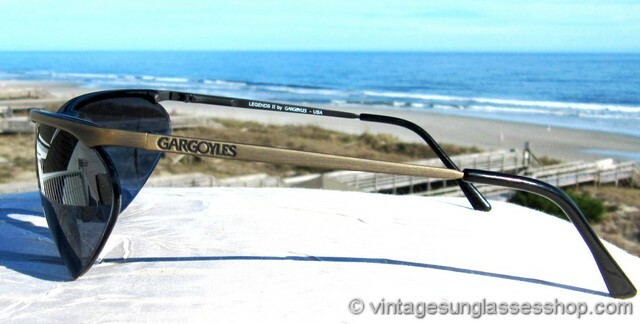 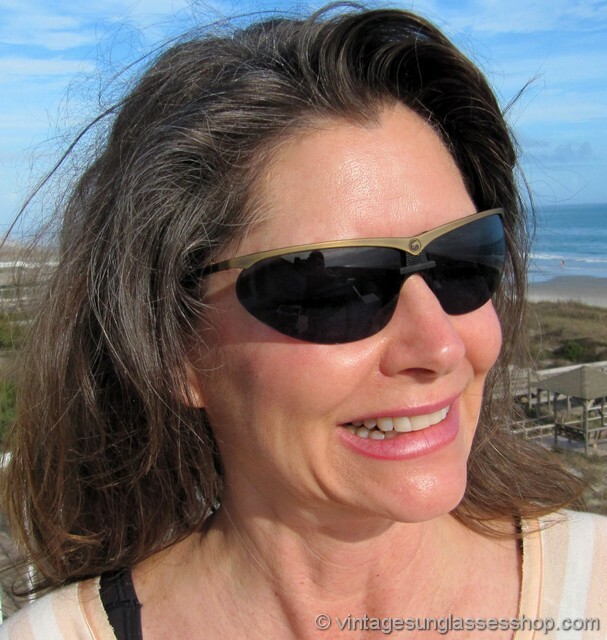 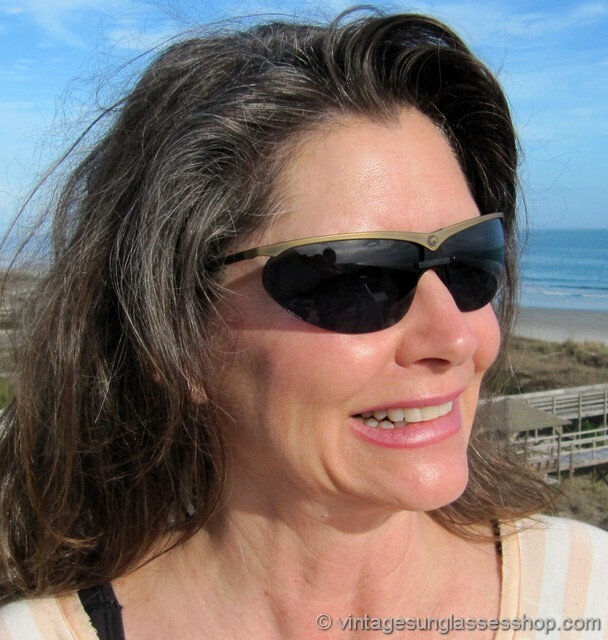 The unisex Gargoyles Legends II frame measures approximately 5.5" temple to temple, and the lenses measure approximately 2.675" x 1.5" at the widest points. 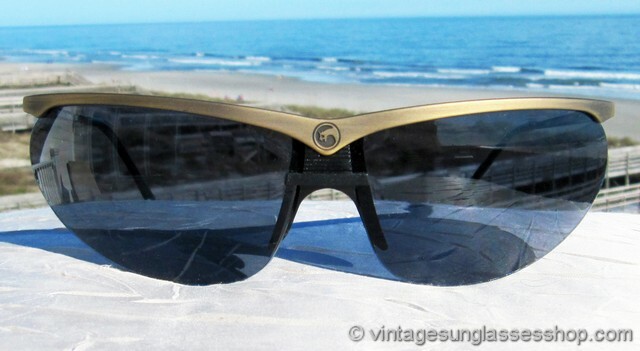 You'll find the Gargoyles logo impressed at the center nose bridge and impressed on the exterior of both ear stems, and the inside of one stem is marked CE Legends II by Gargoyles USA while the inside of the other stem is marked Frame Italy US Patents Pending. 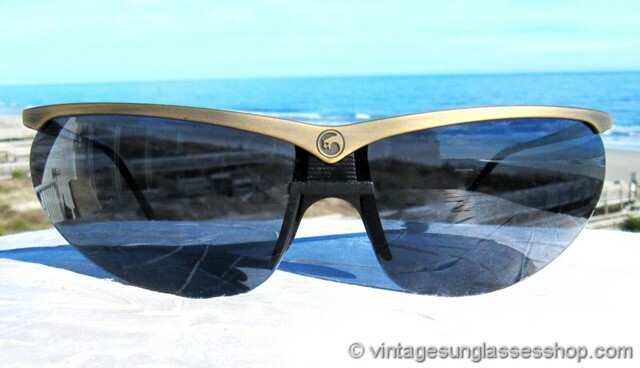 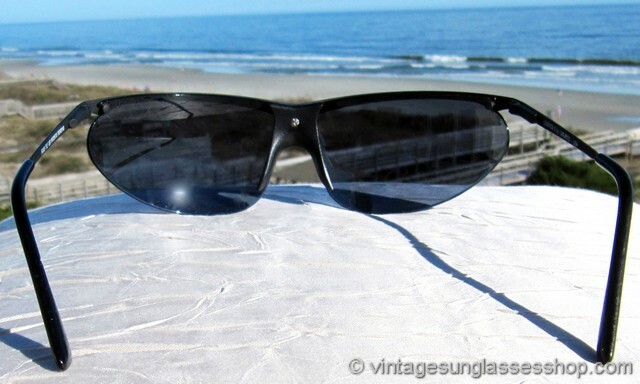 2 Step up another level beyond our already unequaled vintage condition standards with new old stock Gargoyles Legends II sunglasses in mint, unworn condition.